The Harley Jae Trust are proud to announce our official business partnership with Stepping Stones Day Nursery Ltd. One of the largest day nurseries in the UK, Stepping Stones was opened in December 2000 by Gary Holmes and his wife Claire, after a successful 6 years the nursery had an extension and increased from 63 places to 73. 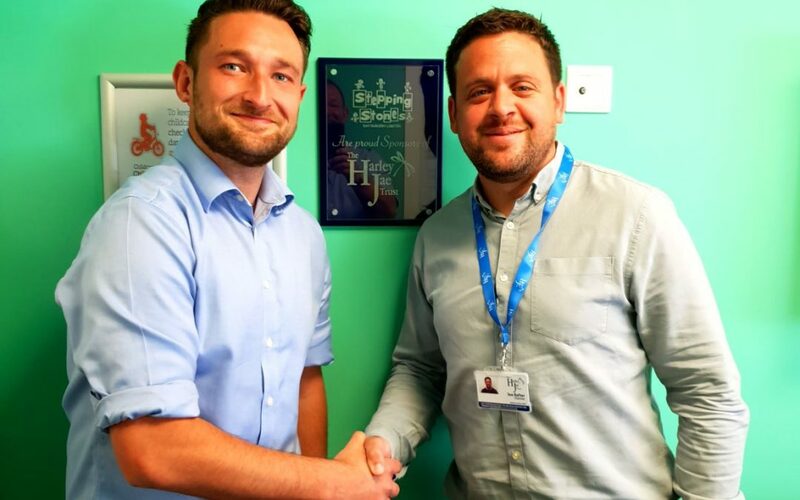 The Harley Jae Trust are thrilled to have Stepping Stones as an official partner and it gives us a great start to our new appeal to find local businesses who want to support The Harley Jae Trust as local cause. Partnerships such as this one are vital to the charities sustainability and the future work we can do. The Harley Jae Trust are a passionate and dedicated charity, committed to improving the lives of of children with life limiting and life changing conditions.